Kusner was profiled for Oak Cliff People ﻿here. 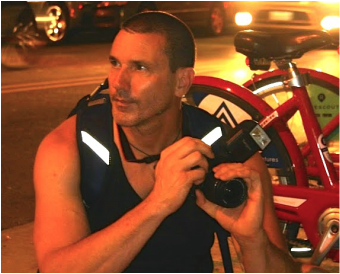 Daniel Kusner is a journalist, author and artist. He’s the creator of “214 Trans4m,” a photo series that fuses architecture with transgender figures. The project won critical praise from World of Wonder Productions, Laura "JT LeRoy" Albert, Lady Bunny and Dallas Public Library. As the Life+Style editor at Dallas Voice, he blended sexuality and gender into feature profiles. He edited Qtexas magazine and produced music-video projects for Abchester, Inc.
His work appears in The Dallas Morning News, Out Traveler, Private Clubs, 1814 magazine and Evoke.